George: From Dreamer to Dreamfinder is 295 pages of amazing awesomeness. This is Ron Schneider’s professional memoir, but it’s so much more than that. 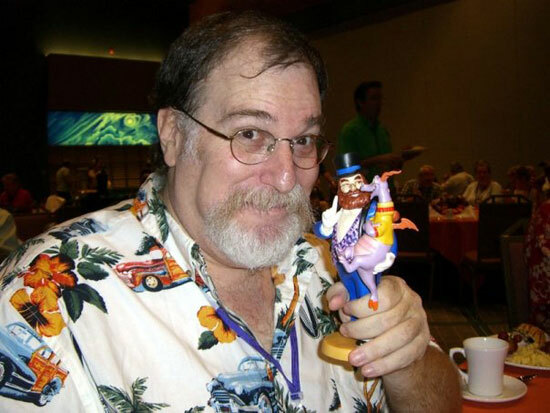 Most adult Disney fans know Ron Schneider as the Dreamfinder from Journey Into Imagination, when he portrayed the charming wizard from 1983 to 1987. But after devouring this book, I am shocked and amazed by everything Ron has done over the past 40 years. Jeff: Just like George, I was blown away by some of the things Ron had to deal with and overcome in all of his years in the business. But what really struck me was the incredible amount of information that Ron packs in here. This is quite possibly the best (unofficial) manual about theme park and entertainment performers ever written. And even for people who do not want to be performers, this is an amazingly entertaining book. Ron makes the material incredibly approachable and unbelievably funny. As a performance guidebook, it’s invaluable. As a memoir, it’s incredibly rich and extremely entertaining. The book is full of great stories like this as he meets and works with Disney legends like Wally Boag from the Golden Horseshoe Revue. That, to me, shows the incredible value of these walk around characters, not just at Disney, but in other parks as well. And this only adds to the impact that Ron had on many a child’s memories of early EPCOT Center. Being able to remember these moments of interaction with Dreamfinder, albeit only briefly, brings me back to such a warm, fuzzy place of my younger years. But really, working at Disney is only the tip of the iceberg. There are so many things that come before, and after, in Ron’s career. 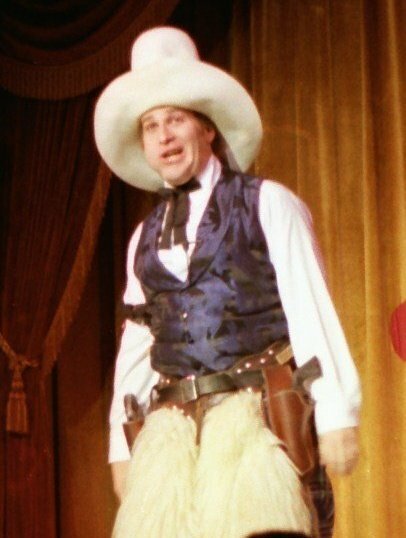 George: For someone who spent about 20 years employed by Disney, he spent just as much time working at Magic Mountain, Universal Studios Florida and various dinner shows in California, Florida and Canada. I was completely blown away by the range of characters and jobs that Ron did over the years. He managed and ran a popular dinner theater at Universal and even had the ear of Jay Stein, president of Universal during his many years as creative writer at Universal. Jeff: I think people will be amazed at just how many beloved theme park and entertainment attractions that Ron actually had his hand in. But of course, with all the good, comes the bad. Ron just a good job of portraying his frustrations during his various jobs without coming off as too cynical. Some of the things that management did will leave you scratching your head and wondering just who the heck put them in charge! George: But you also see the slow change that seems to permeate every theme park endeavor: new ideas, fresh thoughts and a willingness to wow guests slowly turns into a moribund process that is more about efficiency than creating a lasting guest experience. It seems like every time this happened, Ron fought the law and either moved on or was seen as a champion. Jeff: Not to spoil any parts of the book, but I was especially surprised at one section where Ron is helping to run a themed restaurant, both in a managerial and creative aspect. His ideas are loved by the staff, but as soon as upper management finds a way to make things more efficient and cost effective, it’s bye-bye to Ron’s ideas and hello penny pinching. How he deals with each of these situations that arise are unique in their own way, and truly show Ron’s diverse style of creativity. George: Even if you approach this book solely as a Disney fan, or even as a Dreamfinder fan, you’re still going to find plenty that will keep you entertained. Ron has a great style and you will find yourself immersed in his world and the worlds of his character. It is obvious that both of us loved the book and feel that it should be in every fan’s collection. Have you read from Dreamer to Dreamfinder? 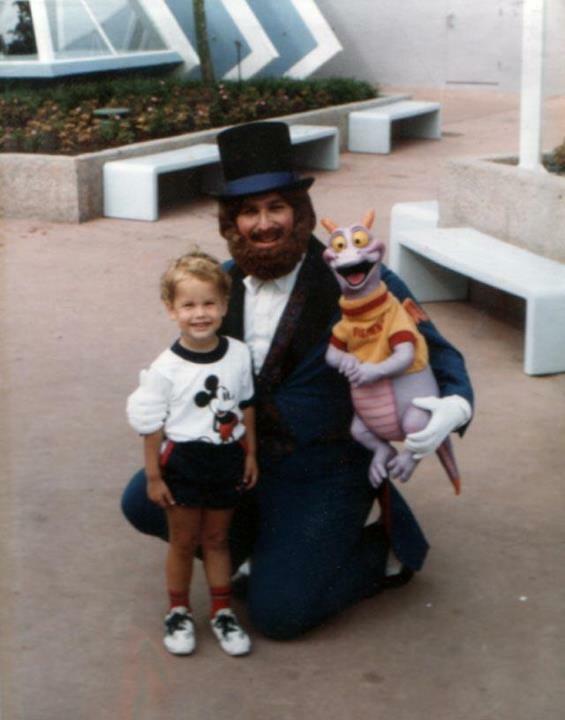 Did you ever get to meet Ron as Dreamfinder?